Tanisha Cidel (Miami, FL) graduated from the musical theatre program at New World School of the Arts in 1993. She is currently the director of the magnet theatre program at Norland Middle School where she has taught sixth through eighth grade for the past 16 years. She is one of the only theatre teachers in the county to become a finalist for the district wide Teacher of the Year award. Mrs Cidel is also the director of the award winning program, AileyCamp Miami, held and sponsored by the Adrienne Arsht Center in conjunction with the Alvin Ailey Dance Foundation. Recently, Arsht Center representatives and Mrs Cidel traveled to Washington D.C. to receive an extraordinary honor. AileyCamp Miami was awarded the 2016 National Arts and Humanities Youth Program award given by First Lady Michelle Obama at the White House. In addition to her arts in education career, Mrs Cidel has performed as an entertainer in various genres of entertainment. She was a background singer for both Ruben Studdard of American Idol and Kanye West on the MTV Awards Show. Now, Mrs Cidel can be seen in the new highly acclaimed, Golden Globe and Oscar Award winning film, “Moonlight” as Principal Williams. 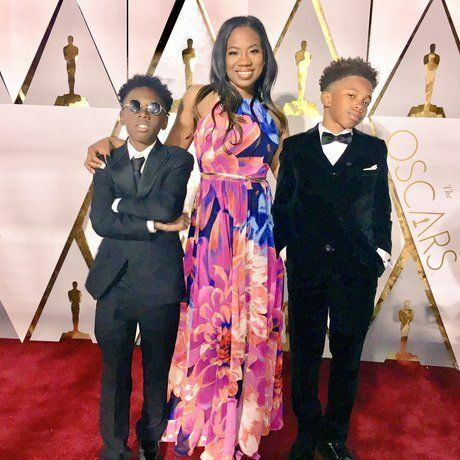 You can also find her current students Alex Hibbert and Jaden Piner as leads in the Oscar Award winning film as well. Many former students have gone on to do amazing things in the entertainment industry such as film, perform in Hamilton the musical, dance and sing background for Brandy, and currently are cast in various television series”. A champion for arts in education, Mrs. Cidel believes that all of her experiences in the professional industry of entertainment and the arts have been instrumental in creating innovative ways to inspire and introduce children of all ages to the wonderful world of the performing arts. She and her husband created Evolutionary Arts and Entertainment. A training ground for young artists and those who are young at heart in the Miami-Dade County community. The goal is to cultivate and nurture the talents of this community and influence the world with those talents!